The level 60 patch update has been up and running for a few weeks now but players are still barging through planet Uld for a taste of nonstop action in some of the most dangerous dungones the genre has ever seen. 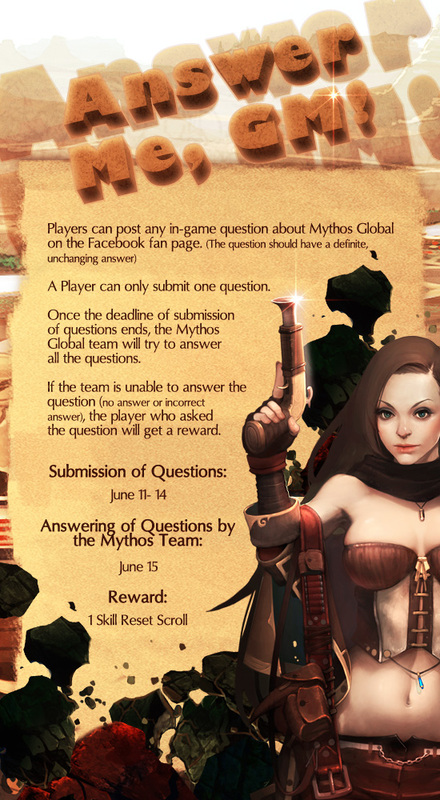 To welcome both old and new players, the Mythos Global team has prepared not only a lot of in-game events, but also three fun Facebook events where players can participate. Just like the Facebook fan page of Mythos Global at: http://www.facebook.com/mythosglobal and you can participate in the events that we have created just for you. For the event line up, the "Patched Up Memories" comes first. 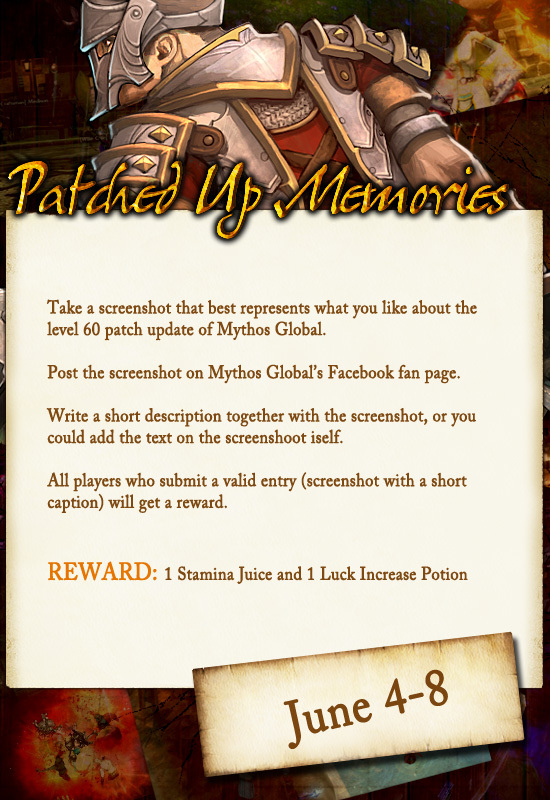 The event is as simple as getting a screenshot of what you like most about the level 60 patch update and post it on the fan page. ALL, and we mean all players who do so will get rewards. Here's the banner that contains the entire mechanics. 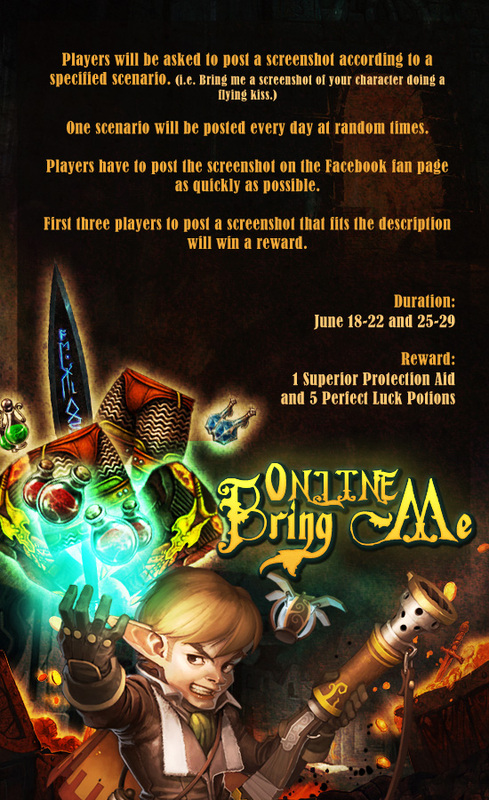 Lastly is the "Online Bring Me" event. Unlike the first two events which will only run for one week, this event will run for two weeks! All players have to do is stay tuned in the fan page for the scenario that will be posted at random times every day.  Once the scenario is posted, players have to get a screenshot that satisfies the condition given and post it on the fan page. The first three players every day will win a reward! These are the Facebook events of Mythos Global this month of June. Be sure to participate since we are more than willing to give out prizes to our happy and loyal players!